Sign in begins at 9 am, kickstands up at 10 am. Destination is Jonnie Beans/Club '57 in Waseca, MN. 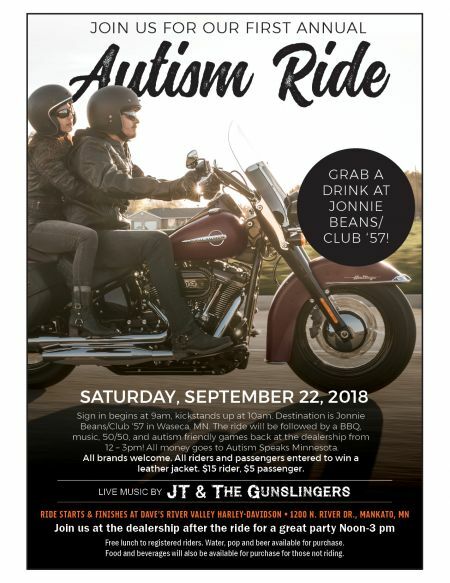 The ride will be followed by a live music by JT & The Gunglingers, Lunch, 50/50 raffle and autism-friendly games. Free lunch to registered riders. Water, pop and beer available for purchase. Food and beverages will also be available for purchase for those not riding.